I received product from Stampin' Up in exchange for this post, but, as always, all opinions are 100% mine! Hey, y'all! Do you like sending happy mail? I sure do! It's so fun to slip a little something in the mail for someone who doesn't expect it. A simple handmade card in the mail can brighten someone's day, and there's just something extra special about receiving the now almost-extinct thank you note as well! 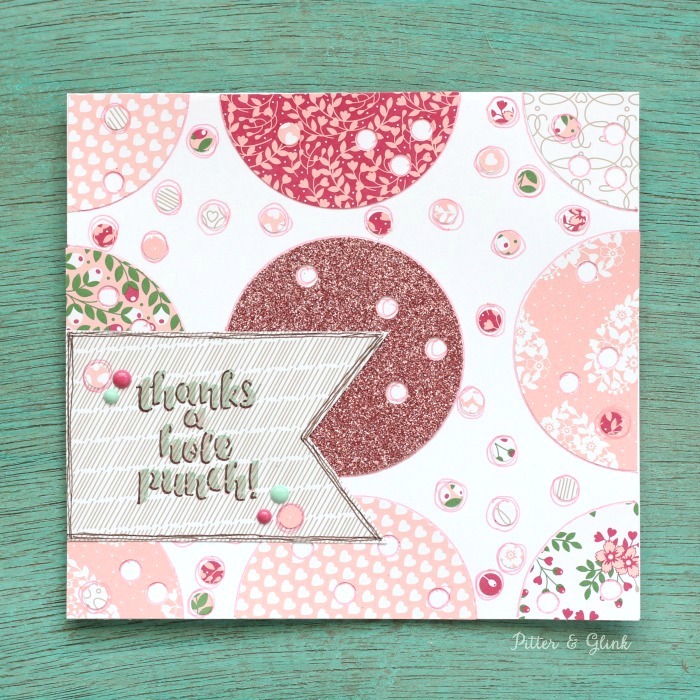 Today I want to show you how to easily make a handmade thank you card with a crafty theme using an adorable stamp set and other products from Stampin' Up. Whip one of these lovely cards up, and the next time someone does something special for you, you'll have an extra special thank-you to send to them to show just how much you appreciated their gesture! 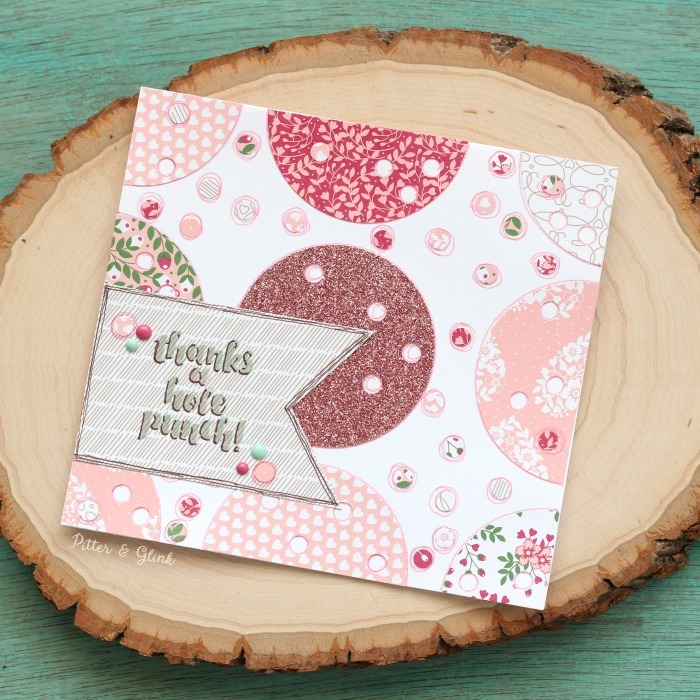 I'm calling this beauty my "Thanks a Hole Punch" Card, and it's so easy to make! First, fold a piece of white card stock in half to create a blank card. 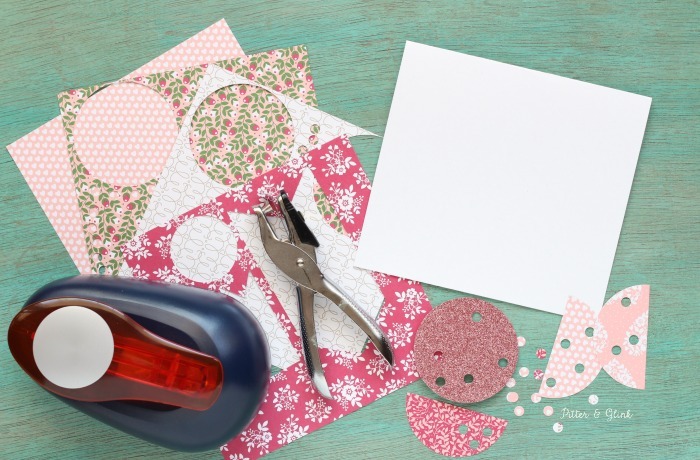 You can trim the card with scissors or a paper trimmer to create a square card. 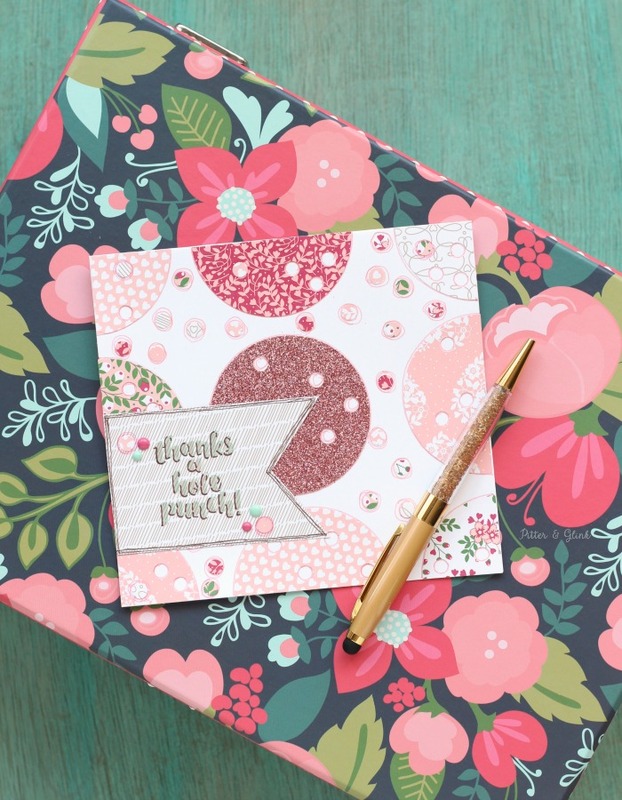 Use a circle punch to cut different patterned papers from the Love Blossoms Paper Stack and a piece of the Blushing Bride Glimmer Paper. (The glimmer paper is SO SPARKLY!!!) 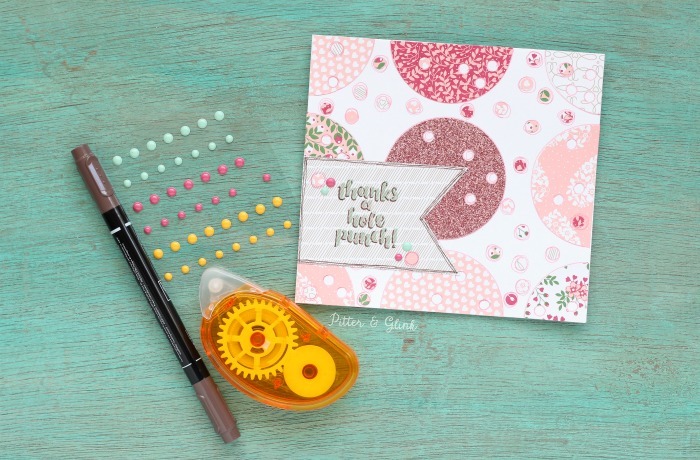 Use a hole punch to punch holes in the circles. Punch holes in the paper scraps as well and empty your hole punch. Keep the small circles from the hole punch to use on your card too. Cut some of the circles in half and some in quarters. 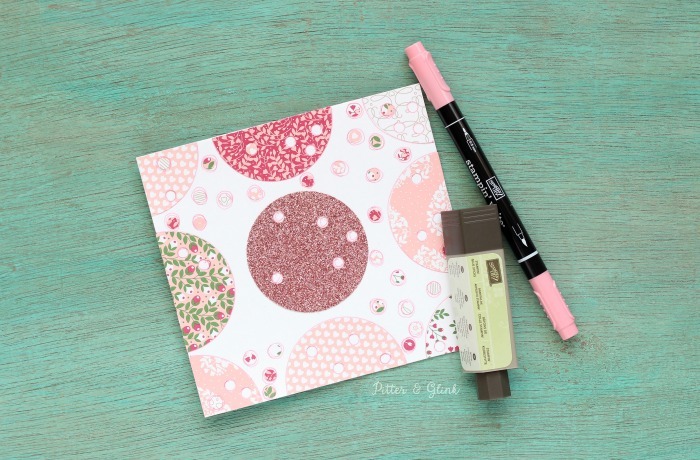 Use a glue stick to glue the circles to the card in a pattern. Randomly glue the small circles from the hole punch on the card as well. Trace all the circles with a marker to make them pop. Next you get to use one of the cutest stamp sets EVER! (Seriously, I can't wait to use some of these pretty little stamps in my journaling Bible!) Attach the "thanks a hole punch!" stamp from the Love You Sew Stamp Set to an acrylic block. 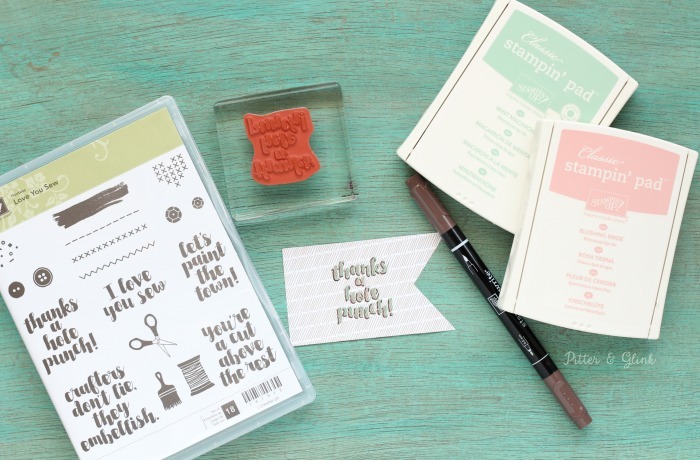 Stamp the sentiment on the paper pennant using the Blushing Bride Classic Stampin' Pad. Stamp the sentiment again (on top of that and to the right a little) using the Macaron Classic Stampin' Pad. You'll be left with a Macaron sentiment that has a Blushing Bride shadow. You can use a marker to make the shadow even more pronounced. 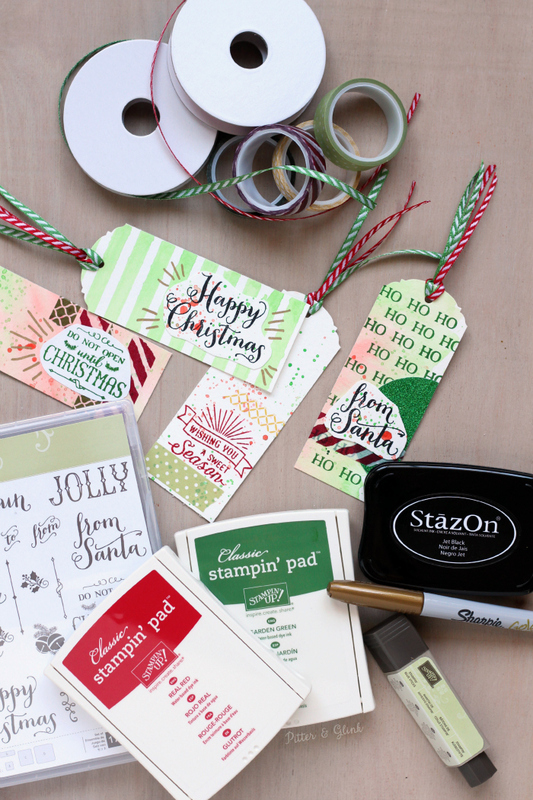 Use an adhesive roller to attach the stamped pennant to the front of the card. 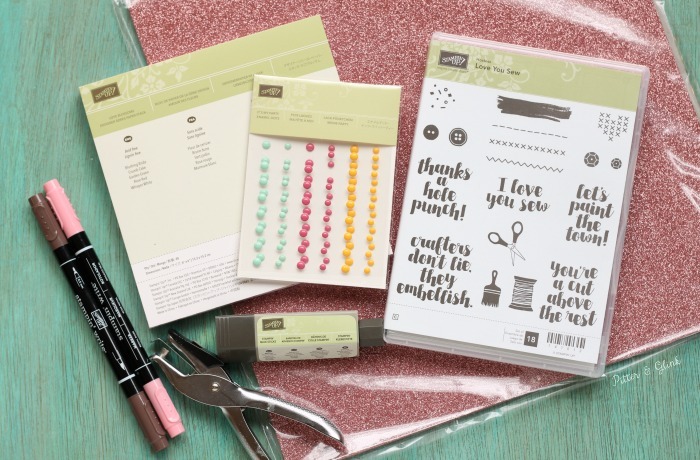 Place a few of the It's My Party Enamel Dots, along with a couple of the small paper circles from the hole punch, around the sentiment. 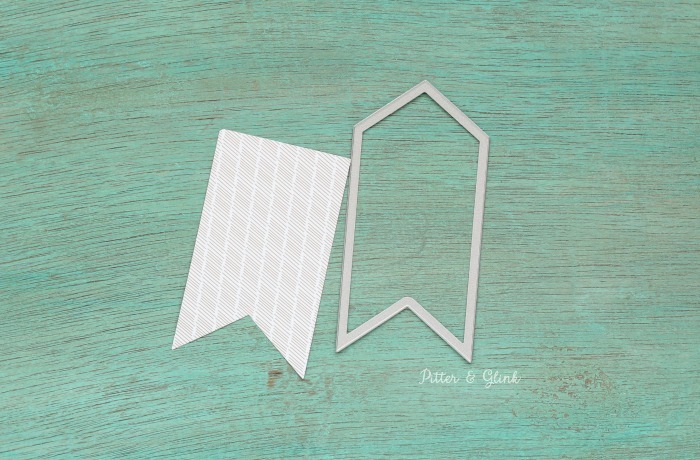 Use a marker to trace around them and around the edge of the pennant to complete the card. I know that any of my crafty friends and even my not-so-crafty friends would love to receive a cute, handmade thank you card like this. And I love that I have several other stamps from my cute new stamp set that I can use on different cards and other paper projects. This is so pretty and much better than buying one at the store.